It was so busy last week with posts that I didn’t get the chance to blog about the book I finished. I finished reading Break no Bones by Kathy Reichs, I started this in 2012 so I’m not going to count this as a read book in 2013 as I think they should be started and finished in the year lol. The book follows another case by forensic anthropologist Temperance Brennan. She fills in for a colleague teaching in South Carolina and as you can guess skeletons and bodies start mounting up. Add into this an ex husband and her Canadian cop boyfriend competing for her attention and you’ve got a good story that moves along at a good pace. Its not overly heavy on the science and technical end of it but still enough to keep you interested and the story itself keeps you guessing till the end and lets face it there is nothing worse than figuring out the end before you get there! 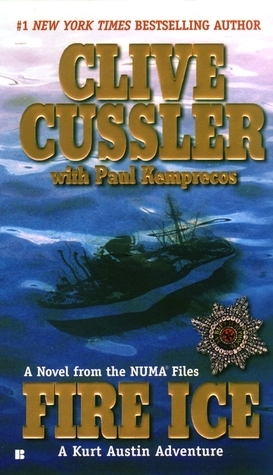 For my next read I looked in my to read pile and was surprised to find a Clive Cussler, I’ve near a full collection of all his books and all are read so couldn’t believe I’d one left to read. I started it and have discovered that yes I have in fact read it before but will finish it now as it covers the What’s in a Name 6 category of Fire or related names. Its a bit obvious on the name selection for this category but I want to read as many books in my to read pile as I can, even if this one was there by mistake. I’m moving nice and quickly through this one so hopefully I will be back before long with a review. I’ve also gotten some new books on my kindle..Not my normal reading material although I do find I need to lighten things up a bit if I’ve read to many crime and thriller books so I’m hoping these will satisfy that. This entry was posted in Uncategorized and tagged Anna and the French Kiss, Break no Bones., Brownies and Broomsticks, Fire Ice, Lola and the Boy Next Door. Bookmark the permalink. I joined the book group in your margin…embarrassment of riches? 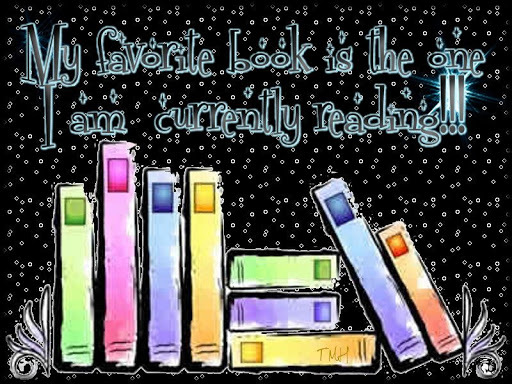 Do you update on Mondays or list all the books at the end of the month? I need to cleanup my right margin on my blog…it's old and out of date.I have a whole bunch of Kathy Reich's books my daughter gave me a long time ago and I haven't read a one. But I do like anthropology and a mystery to boot so I should be okay with them. Clive, not so much…I haven't read him but I know people that have and he's too creepy for me…living alone doesn't help, I'm sure! LOL!I signed up for the platinum….what was I thinking? Ha! Ha! I may join your other groups too…to keep me "on task" and accountable otherwise I find housework consuming me….as it's never done!I sure wish you lived next door along with some of my other fav bloggers….wouldn't that be fun? But we'd never get anything done probably….just gab the days away! LOL! Oh, but I'd get to hold Evelyn….ahh…that would be so sweet. It's been a long, long time since I've held a baby. Hugs! Thanks for the great book review, Ruth! I only saw one episode of Bones on TV and didn't like it at all. But I'm sure reading a book would be much more enjoyable to me. I will look for this book at the library! I've read most of Kathy Reichs Brennan books from the beginning, but stopped reading them about 3 or 4 books ago…I wouldn't watch Bones for the longest time because I was PO'd that the character was so different…really they couldn't have named her something else? But now I watch the show and enjoy it for what it is..I am reading Pride and Prejudice at the moment, among others.. I always enjoy Kathy Reichs. They have some good Kindle books on Amazon for 20p at the moment. I never knew the Bones show was based upon a book series. Learned something new. 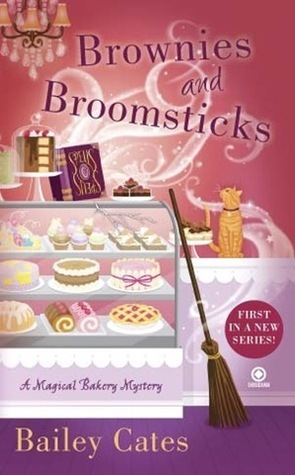 I think I have that Broomsticks one on my to-read list on Goodreads. Let us know how that is when you read it.